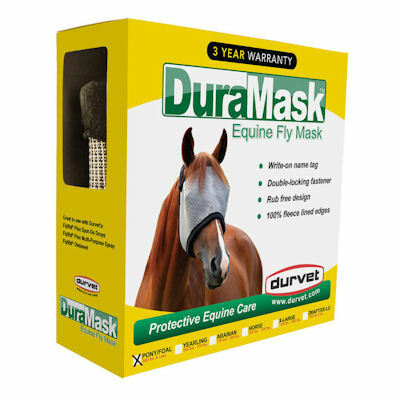 DuraMask Equine Fly Mask (Durvet) Grey color only. Horse size only- fits 900 lb to 1200 lb horse. 3 year Warranty. Comfortable fit with fleece edges. Extra reinforcement for durability. Now with a write-on name tag.